Every mountain is eye-catching, but these huge miracles are on the most beautiful spots of the earth, with a dreamy panorama! Now I collected the world’s most beautiful mountains – exactly 20 one – without the need for completeness.Which one is your favorite? This Japanese sacred place is the embodiment of absolute beauty, as it is almost perfectly symmetrical. 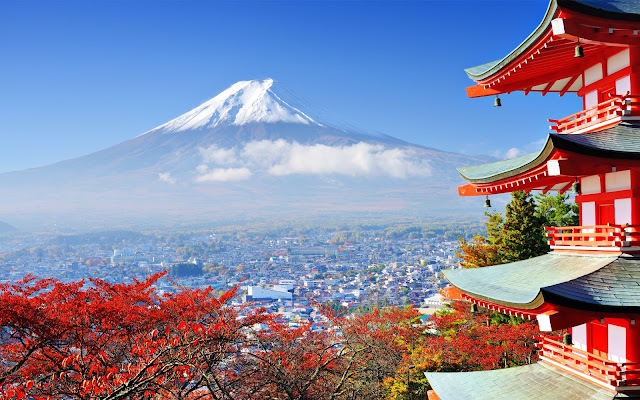 The Fuji was inspired by thousands of poets, painters and artists and have millions of visitors each year to reach the 3716 meter tall hill. 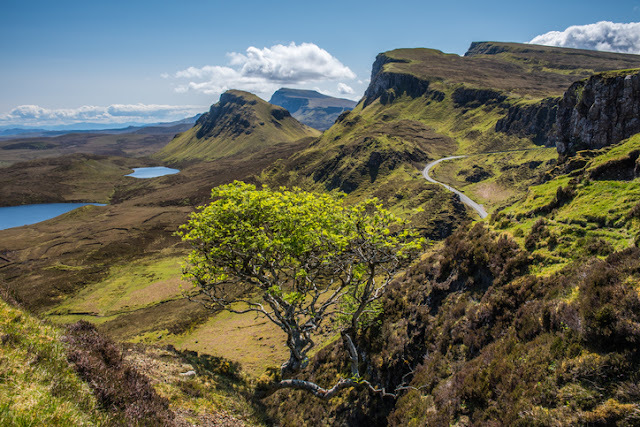 There’s four different routes for climbing during summer (1 July to 31 August) but as it’s not a one-day tour, I recommend to climb it only with a tourist guide! As I read, climbing the mountain is not a difficult thing – many grandmother and children doing it as well – but it’s about 2 days at lest, so you have to get ready to give yourself enough time to reach the top of it. The first day you have to climb around 5-7 hours, the second day around 2-4 hours but professional climbers says that without good equipment, shoes, pre-booked shelter and raincoats, the whole trip can be horrible as well. 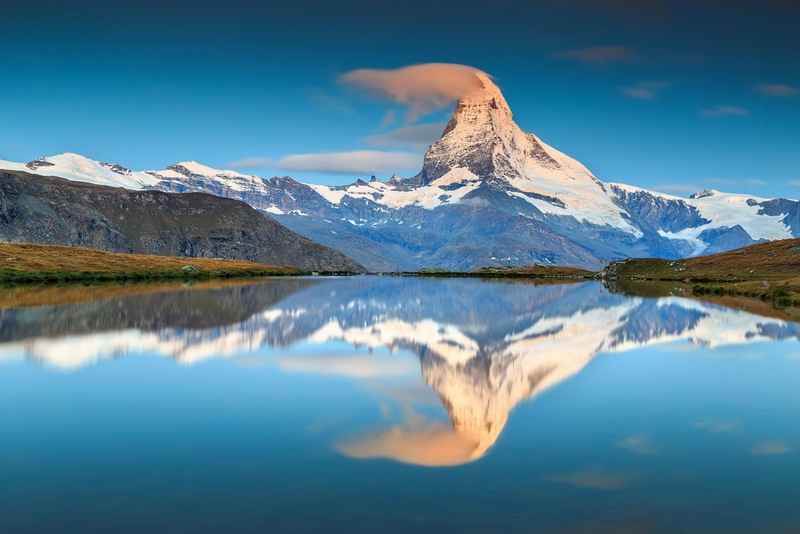 The Matternhorn is the 7th highest peak of the Alps, with it’s 4478 meters - east, north and west wall to Switzerland, and south to Italy. 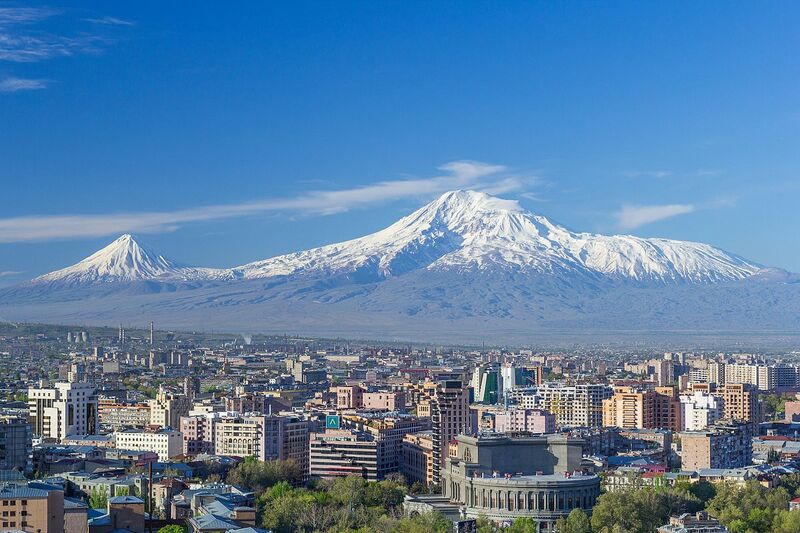 Mountaineering is impossible for beginners: you have to climb up to 6 -14 hours on a cliff wall of 70° degrees – and please, don't forget the thousands of meters below you as well! The tour is recommended only for professional and experienced mountaineers and only with a professional mountain guide – but if you are not a big fan of climbing, I recommend a stay in one of the amazing wellness hotels nearby, where you can cheer to the climbers and enjoy the panoramic view of Matternhorn! The 2694 meter tall Half Dome became the trademark of the Yosemite National Park, however it’s far not the highest mountain of Sierra Nevada. It’s extremely difficult to climb the mountain, since it requires a great deal of hardness (the mountain is almost 90 ° tilted ) and top of it is only accessible via cable paths. 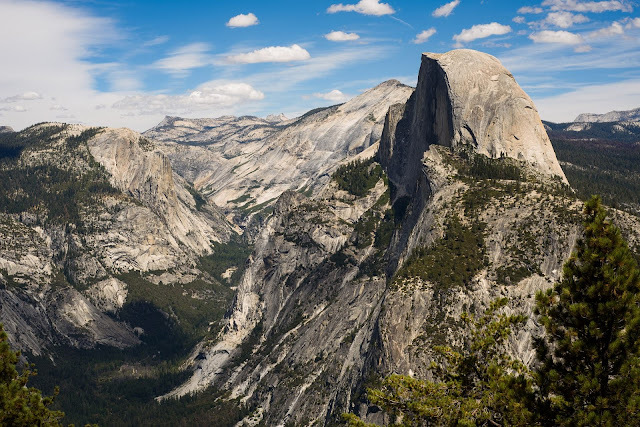 The 22 km tour takes about 10 to 14 hours of climbing, but if you choose a more comfortable alternative to check out the Half Dome and the Yosemite National Park, you can rent a VIP helicopter from San Francisco, since there are many private helicopter companies. 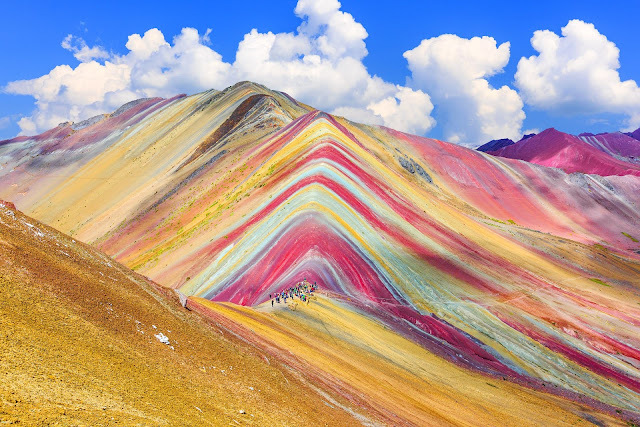 The 5,200-meter geological wonder aka the rainbow mountain can only be explored with a local tour guide for $30-$40/person (~ due to the variety of travel agencies). According to the reviews, the mountain is not as colorful as on the photos due to the photoshop and the climbing is not so enjoyable because the weather is almost always bad. But if you are lazy you can still travel on a donkey to the top of it for around 70 peru. Kirkjufell is one of Iceland's most photographed natural sights next to the village of Snæfellsnes, near Grundarfjörður, where you can see the most spectacular view of the northern lights between September and January. 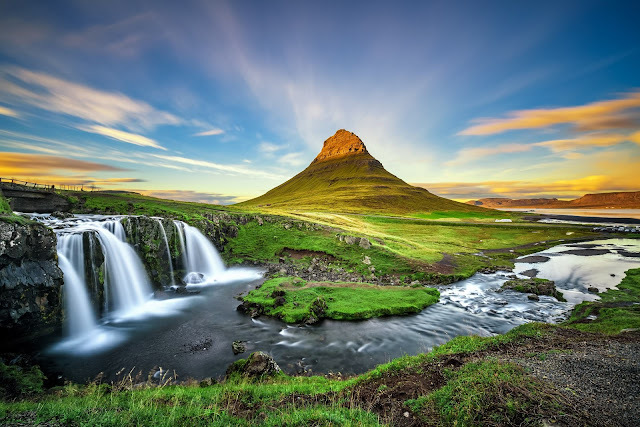 Kirkjufell is not a big mountain, more like hill of it’s 463-meter, but as the northern lights appear it shows different faces almost every hour, so it’s a huge natural treasure for photographers. It’s might be interesting but the Kirkjufell also appeared in the Season 6 and 7 of of the Game of Thrones. Located in the Los Glaciares National Park in Patagonia, the 3375-meter-long Cerro Chalten (aka the Cerro Fitzroy) has it’s entirely peak in Argentina. 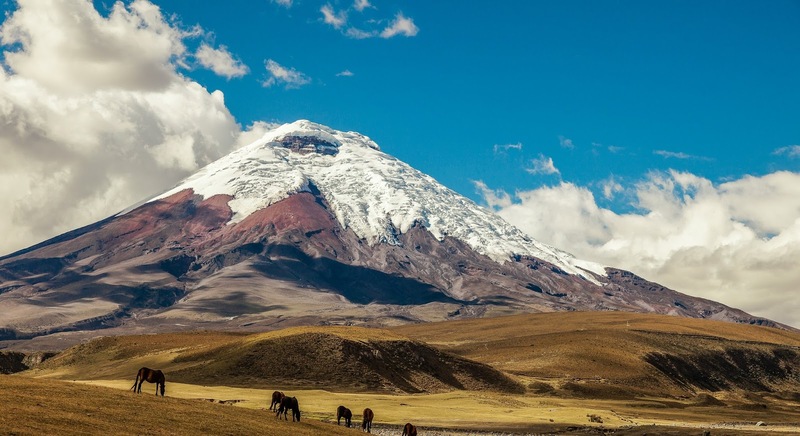 Long time ago, the Indians thought that it’s a holy mountain, so no one was enough brave to explore the top of it, but nowadays it’s quite popular for extreme mountaineers and natural photographers in the Andes. Cerro Chalten is a very difficult mountain to climb: due to the stormy weather and the the rocky wall, the peak has only been conquered by few people. 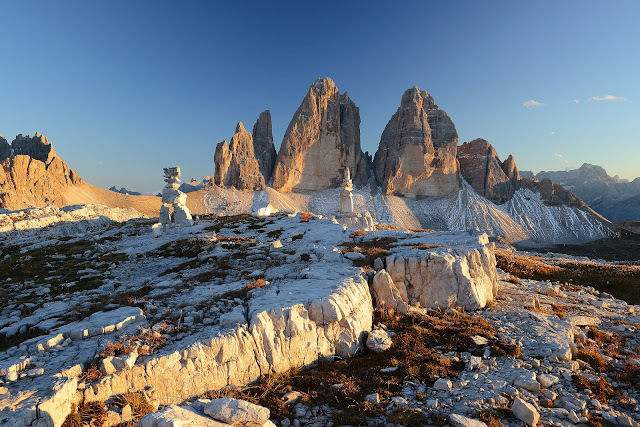 The "Triple Mountains" is a distinctive three-tier mountain peak with its highest point of 2999 meters - no wonder it’s one of the most popular mountain for extreme mountaineers, but since the Dolomites are surrounded by numerous of hiking trails, „normal” tourists can have a very pretty view to the Three Sisters as well. It’s might be interesting to note that since 1998, there’s a 17.5 km long running marathon (called Drei-Zinnen-Lau) what starts from the Sexten village and finishes next to the 2405-meter-high Three Sister refugee close to the triple mountain peak. 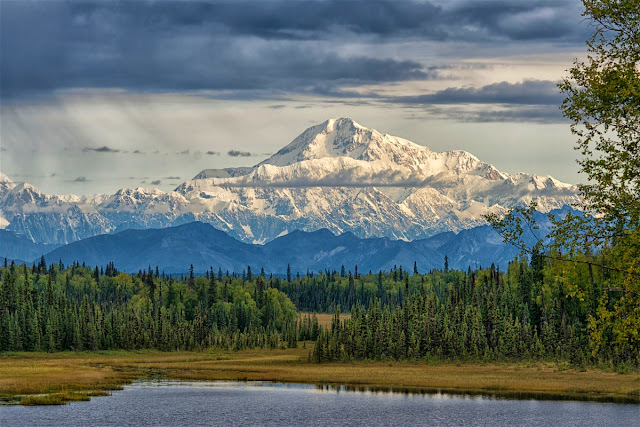 Alaska's famous peak is 6168 meter high and for a while it was named to Mount McKinley after William Mckinley (the american president), but Barack Obama changed back the name of it to Denali when he visited Alaska 3 years ago. According to professional mountaineers who have already swept the top of the mountain, the Denali’s routes are not particularly difficult, but the extreme weather is so horrible because of the polar circle that there are many snow and wind storms int he area. North America’s highest mountain is in the Denali National Park, where separate hiking trails are marked for visitors. One of Europe's most distinctive rock formations is the flat-roofed Benbulbin, rising over the western plain of Ireland, with a maximum height of 526 meters – so it’s more like a hill isntead of a mountain. At the top of it, you will have a fantastic view and (good news) you dont have any special climing skills to reach the hill. 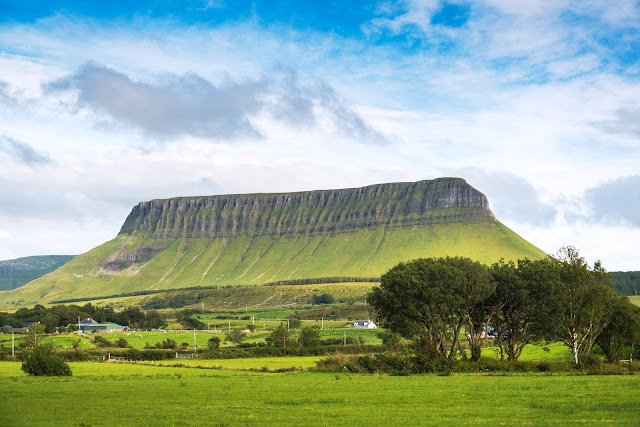 For example, this tour agency gives a detailed note about what to expect at Benbulbin and they recommend it to reach it from the south, since the route is much easier from there. The whole climbing is not more than 4-5 hours and can be done any stage of the year. With its 543-meters, it’s a bit higher than Kirkjufel, but it’s also recommended for beginners are tourists, so in case you are interested to climb it, I recommend THIS online climbing helpline. This helpful note is very easy to understand and illustrated with lots of photos, so you don’t need any travel agency to reach the top of it, but be prepared when go to climbing! Don’t forget your raincoat, waterproof clothing, hiking boots, food and drinks, as well as medicines and other health supplies when hiking! According to TripAdvisor's reviews, it is possible to take the round trip on the hill in 3-4 hours and the first 45 minutes is the toughest. This 5137-meter-high two-peak volcanic massive mountain is located near the Turkish-Armenian border, but until the 19th century, no one dared to conquer it, because it is alleged that the remains of Noah's Ark lie here, who has populated the Earth from here. There are many satellite imagery on the Google about it, so it’s worth a look for those who cares, but so far no evidence has ever been made. 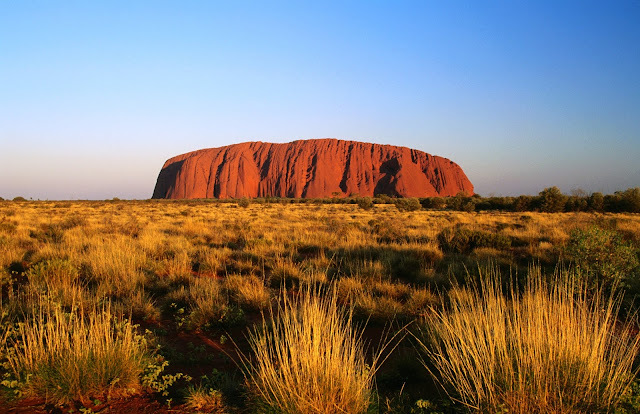 Uluru (also known as Ayers Rock) is located at the northern part of Australia, in the Uluru-Kata Tjuta National Park, what is about 6 hours drive from the nearest major city, Alice Springs. This giant sandstone rock is 800 meter high, but according to research, the most part of it is under the ground. Because of it’s unique look it’s one of the most sacred places in the world – no wonder why. Interestingly, there are not so many hotels nearby - most of the tourists sleeps in tent nearby the Ayers Rock – but there’s a luxury one called Desert Gardens Hotel, where the view from the room is just fantastic! 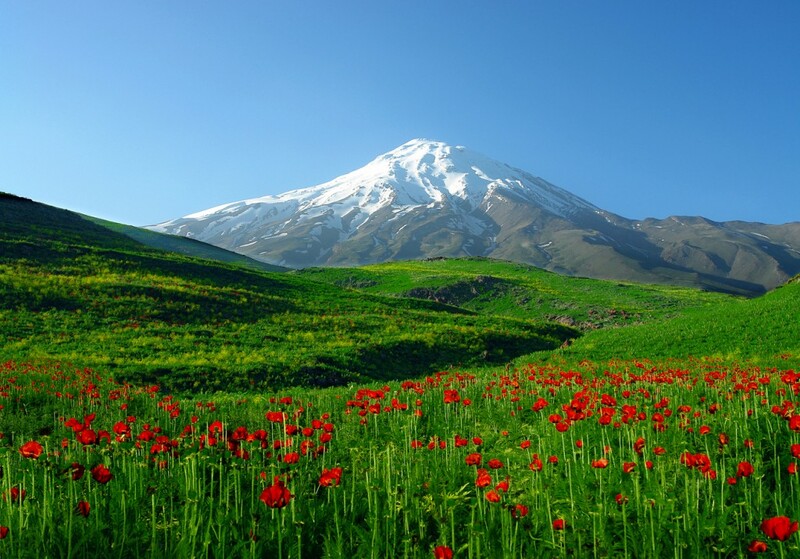 The Damavand mountain (Asia’s tallest volcano with it’s 5610-meters) stands lonely around 70 km from north-east of Tehran. Most hiking agencies say that this is one of the easiest mountain in the world (despite of the site of it), but of course don’t think it’s easy to reach the top of it. You need an extraordinary physical preparation and a stamina is required to climb it as well. Parinacota (as the part of the Andes and the Chilean volcanoes called Nevadoes de Payachata) is a 6348-meter volcano, which have a „twin sister” as well, the 6282-meter tall Pomerape. 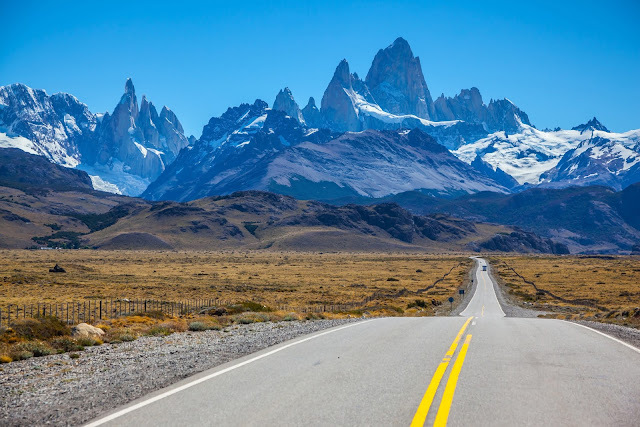 The nearly perfectly symmetrical mountain is about 5 hour drive away from Chile’s La Paz and since it’s the closest city of the Parinacota, most of the professional mountaineers are travelling from there. It can be interesting, that Chungara Lake near the mountain was created by a volcanic eruption more than 8000 years ago and it’s settle on the tallest point on the Earth where a lake can exists. If you liked the Peruvian Vinicunca Rainbow Mountain, you’ll probably like the China version of it! This colorful sandstone is in Southeastern China, and it’s protected by the UNESCO World Heritage Site from 2010. 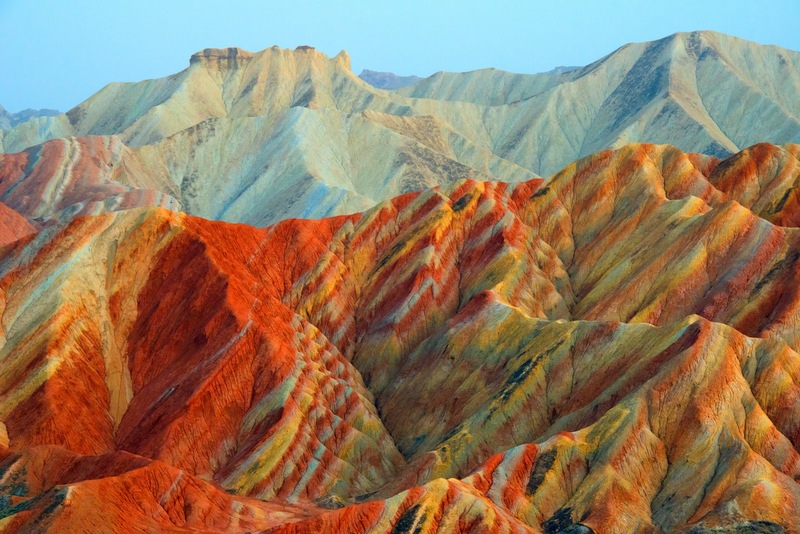 The Danxia Mountains (created 25 million years ago with erosion), can be seen on more than 73,000 hectares of land. The closest village to the geological park is Zhangye, which is almost entirely occupied by tourism. In the north of Pakistan, in the Karakorum mountain range, Trango Towers are among the most difficult to climb mountains in the world. 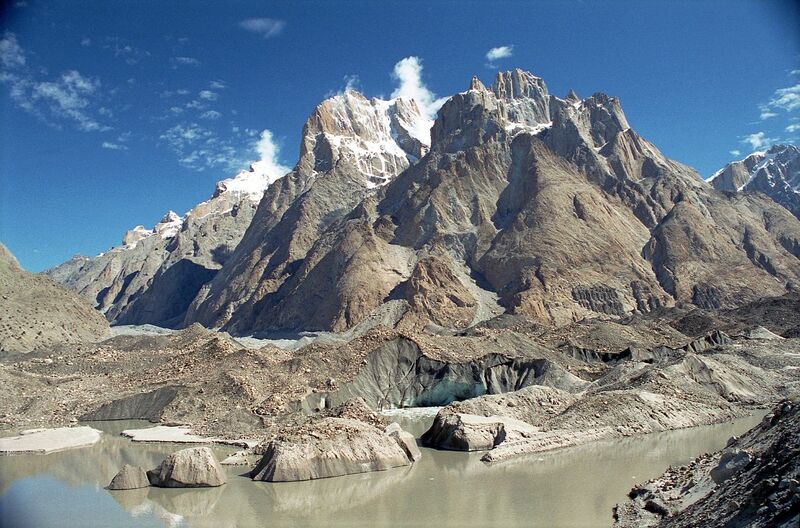 The most famous part of it the 6286 meter Trango Tower, which almost vertically tilt. It’s just amazing! The 3726-meter tall volcano is located near Bali, on the island of Lombok and got it’s name after the Gunung Rinjani National Park. 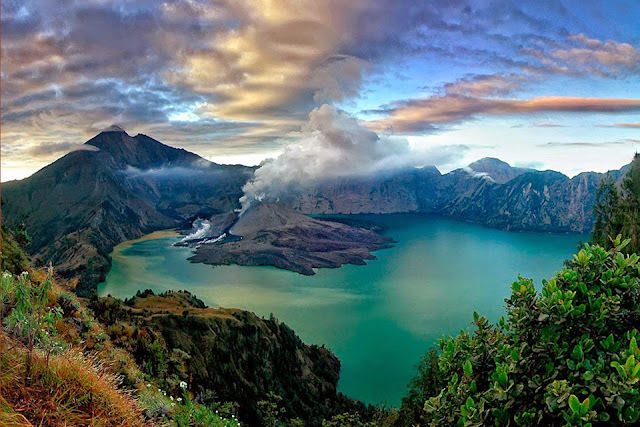 In 2008, the UNESCO has declared Mount Rinjani as World Heritage (as one of Indonesia's first official geological parks) – no wonder why. HERE you can also read a personal report about the climbing. 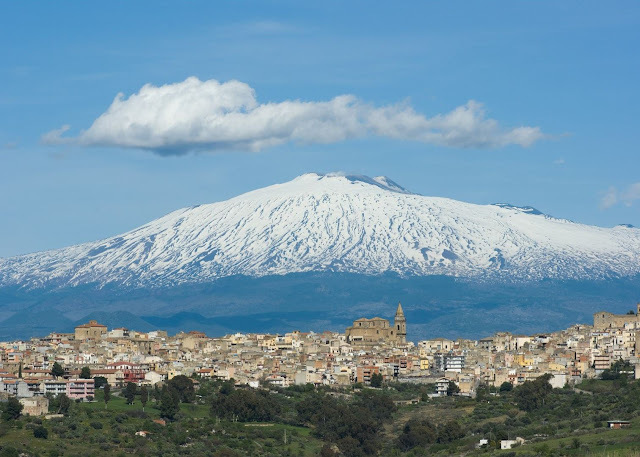 With it’s 3329 meters of altitude and a 136 km radius, you can see the active volcano of Mount Etna at almost any point in Sicily, where anyone can climb up to 2300 meters with a ski lift – but after it only the professional climbers can reach the top of it with a local leader. It’s interesting, but the volcano’s ground is so healthy and productive, that many Italians have vineyards here. 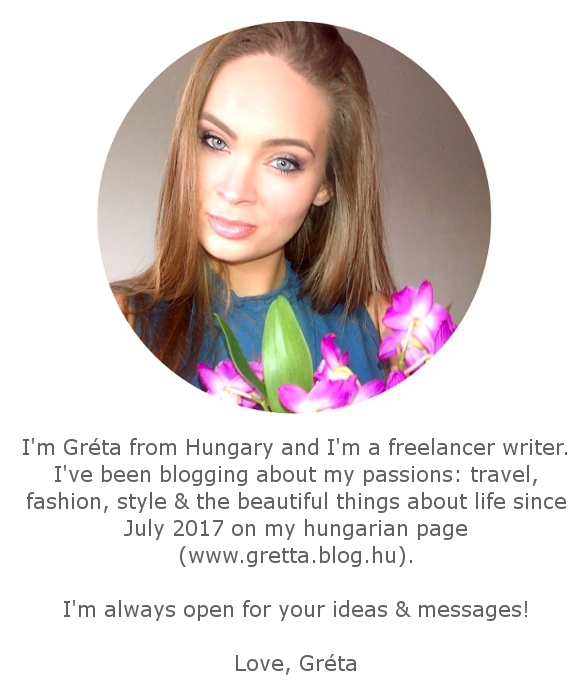 If you want to taste a nice wine, try it here! Cotopaxi is the second highest peak in Ecuador, with it’s 5897 meters above sea level. This huge volcano broke out more than 50 times since 1738 – last time in August 2015 - and it is still considered to be one of the most active volcanoes on Earth. 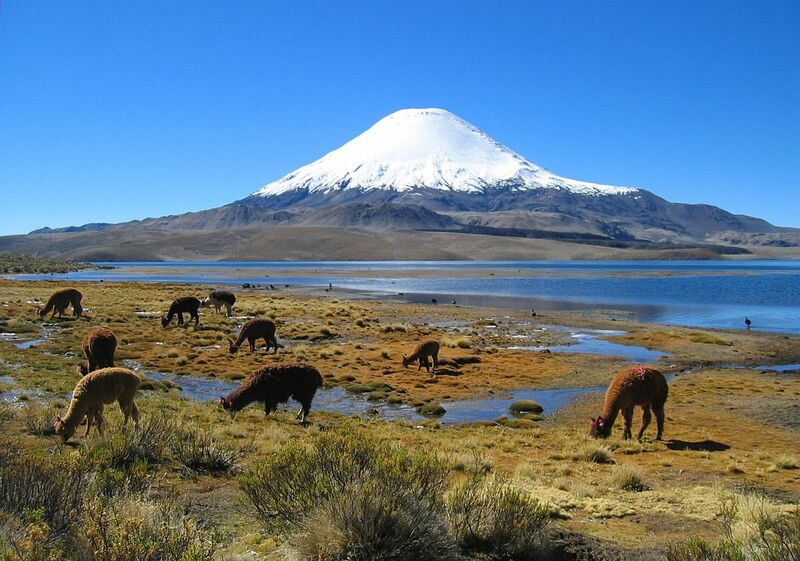 Those who want to explore Cotopaxi are travel to the mountain from Quito, what’s the country’s capital city. The Mount Rainier is the part of the Cascade Mountains, and it is considered to be the USA's most impressive mountain peak, where are 25 glaciers and 6 rivers as well. It's no wonder that it appeared in many Hollywood movies! 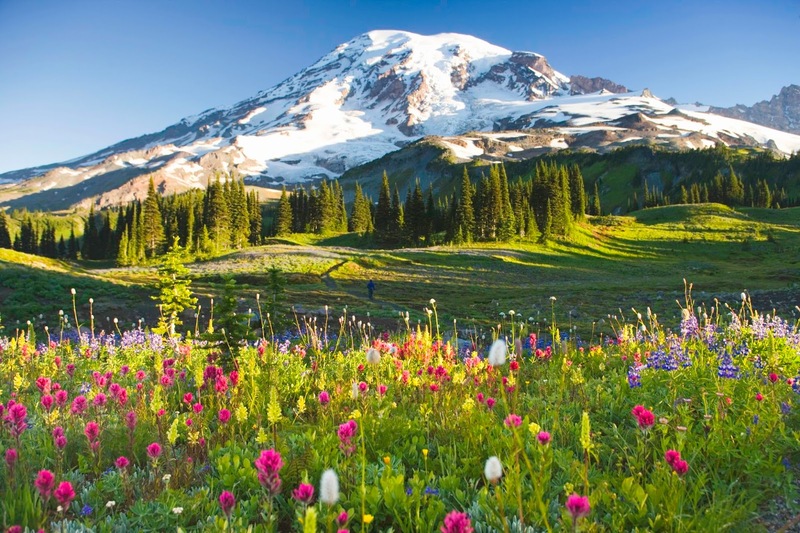 The 4392-meter high mountain can clearly be seen from Seattle if the weather is nice, and it was named after Peter Rainier British admiral.